The classic Christmas musical 'Scrooge' returns to the London Palladium for the 2012/13 festive season, starring veteran performer Tommy Steele. Steele has recently set the record for the number of headline acts at London's most famous theatre, and brings the character of Ebenezer Scrooge back to life in this colourful and heartwarming seasonal musical. Leslie Bricusse's catchy score includes 'Thank You Very Much', 'I Hate People' and 'Christmas Children', and is matched by impressive choreography, stunning sets and magical special effects. See Charles Dickens' unforgettable tale like you have never seen it before. Scrooge! is suitable for children from ages 5 and up. There are a few moments that younger children may find scary, such as the ghosts. Saw Scrooge in Southampton two weeks ago. Loved Tommy Steele in his films as a kid and still love him now. Superb show by all the cast and backstage crew. Still dont know how the first ghost appeared on stage lol, Magic! My wife and I went to see Scrooge in London on 8/12/2012, what a fantastic show, the costumes and the singing, Tommy Steele has always been a favourite of mine, hope he returns as scrooge next year 2014. Was in London on Christmas Eve shopping with my daughter and bought tickets 20mins before show. Tommy Steele and the cast put on a first class festive and fantastic show came out feeling all christmassy and happy. Perfect end to a perfect day. Thank you very much. Saw Tommy last year in Eastbourne in Scrooge and he was just as fantastic both times. Would definitely recommend what a show. Heather and Laura. Saw Scrooge last Thursday, with Professor Hawking and a group of friends, it was an amazing musical! Fantastic show! It was so exciting meeting the cast and everyone who works on Scrooge. Meeting Sir Tommy Steele was the most wonderful part of the evening. Seeing these two national treasures together was a historical moment. I went to see Scrooge 2 weeks ago. At the first moment of seeing Tommy Steele, I realized he was a great performer. I am very happy to see him and the show. Those made my short stay in London excellent. Me and the kids had a wicked time at Scrooge. Made me feel really fun and ready for Christmas! Went to see Scrooge last week with Brother and Sister in Law it made our weekend complete. Fantastic show, Well done Tommy and ALL the cast including Front and Rear of House, only one thing to say, Thank you Very Much! We went to see Scrooge last night, there were 8 of us from one family, ages ranging from 6 to 54. Scrooge the Musical is traditionally dear to our hearts at Christmas time and we know the film and the songs backward. This production did not disappoint. There is no doubt that Tommy Steele makes the show as it is clear that he loves playing this part. It made us happy and jolly and sad and teary at exactly the right times. We loved it! Not to be missed, we saw Scrooge this afternoon and it was Awesome, best start to Christmas. Tommy Steele and the whole cast were excellent. Great singing, great dancing and so good to have Tommy back up in lights. What a blinder! Just got home from seeing Scrooge, it was brilliant, loved it from start to finish, well done Tommy! Have been to see Scrooge this evening with my partner and can say it has been one of the stand out shows for us this year. I thought Tommy Steele was fantastic and when he said London I love ya I believed every word of it he really does. I took my family to see Scrooge tonight (Monday 12th Nov). It was superb, all of the cast were very good, especially the boy that played Tiny Tim,when he sang his solo song. It was a pleasure to see Tommy Steele, he was first class! The whole show leaves you with a real feel good festive feeling. The scenery &amp; special effects were very good. I am a London Cab Driver &amp; I will be recommending Scrooge to all of my passengers over the next few weeks! Scrooge was absolutely brilliant today. A Fab show, fantastic performances by everyone. I had a fantastic evening at Scrooge. The best night out I have had in a long long time. I return home to Northern Ireland on Monday night hoping to come back to see the show again. 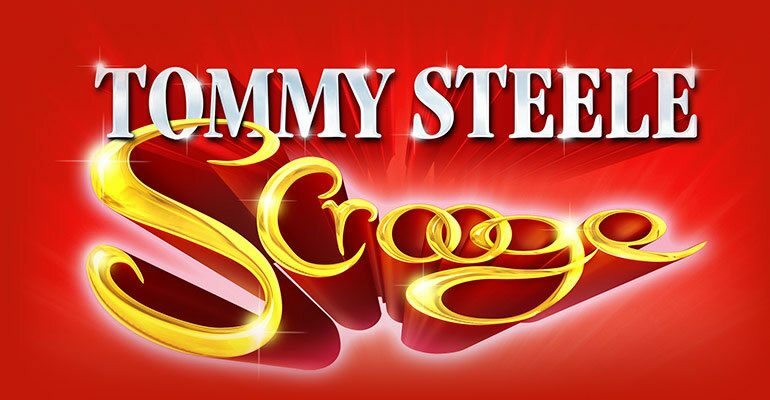 I took my husband to see Scrooge for his 65th birthday on October 26th, and we loved it.Tommy Steele is amazing as Scrooge, what a great show it made me laugh and cry,a show that can do that has something special, and I would compliment the whole cast, but in particular Tommy himself, I was the first to my feet to applaud him. I have seen Scrooge several times at Derngate in Northampton, Leicester and Wimbledon and now going to the Palladium in November. It is absolutely brilliant and Tommy is amazing.